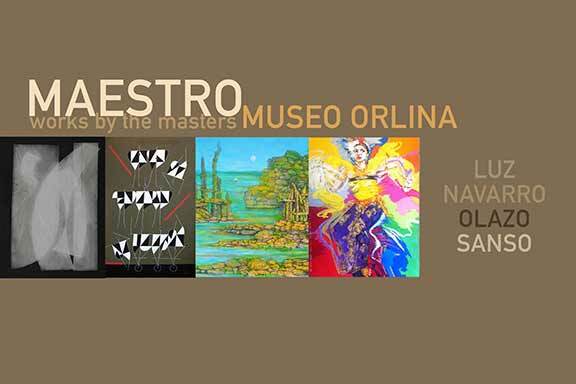 In the visual arts, our own Filipino masters – among which are National Artist Arturo Luz, National Artist J. Elizalde-Navarro, Romulo Olazo and Juvenal Sanso – are exemplars of artistic excellence. 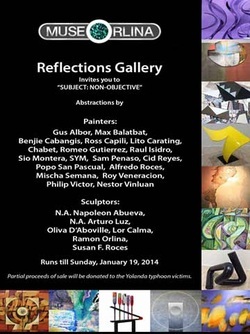 Their superb works embody qualities that make them timeless masterpieces. Enriching our culture and history, and possessing superlative technical brilliance and aesthetic finesse, these living masters are our country’s national treasures, deserving of our people’s admiration and respect. 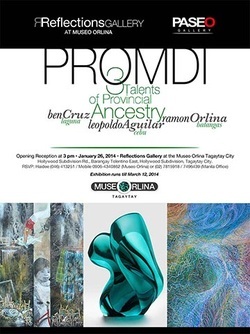 ﻿The Museo Orlina jointly with Paseo Gallery presents “Promdi: Three Talents of Provincial Ancestry” at the Reflections Gallery from January 26 – March 12, 2014.